Cretico blog presents Heraklion Highlights. 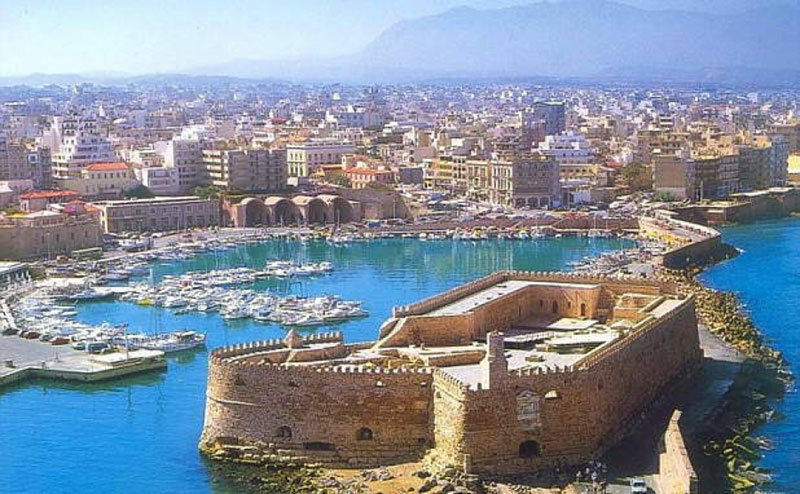 Heraklion is the capital of Crete and the fourth largest city in Greece and extends in a total area of 120 square kilometers. According to the legend, the city was 2000 years ago the harbor of ancient Knossos. The tourist traffic, especially in the summer months has been increased in recent years, so more and more locals are employed in this field. You can reach Heraklion by using the ferry connecting the city with the mainland Greece or, alternatively, by flying with one of the domestic and international flights through the international airport “Nikos Kazantzakis”. 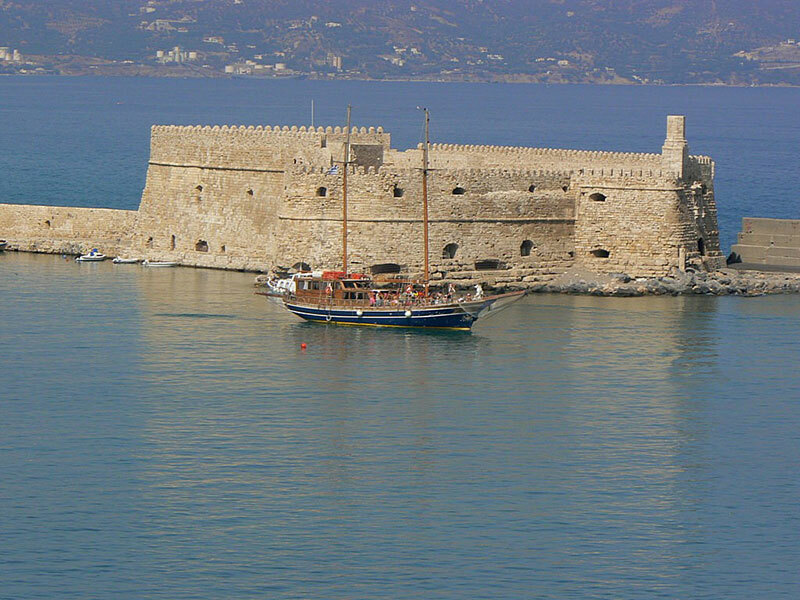 The Koules is a Venetian fortress, in its present form, which was built between 1523 and 1540 to protect the harbor. During the Venetian times it was called “Rocca a Mare” or “Castello a Mare” and during the Turkish occupation after 1669, it was called ‘Koules’. It extends in an area of about 3,600 square meters. It has the form of a quadrilateral with a strongly overhang shaped semicircle on the east side. It has two floors and strong masonry, while the thickness of its outer parts, reaches the 8.70 m. Francesco Basilicata in his report of 1630 states that there were 18 large cannons on the ground floor, another 25 smaller various calibers in the chamber, 300 boxes of gunpowder in the warehouses and 6,144 missiles of various sizes. The winged lion of St. Mark, relief on the three marble slabs built in the fortress, imposing and emblematic, still supervises this impressive monument. West of Koules, extends the western coastal avenue “Sophocles Venizelos”. Right on the sea wall has formed a promenade overlooking the sea, offering a great opportunity for enjoyable walks. The locals call it “bentenaki”, which, in Cretan dialect, is the small wall. Across the street there are many fish restaurants that have their tables here and offer food or snacks for ouzo and wine to locals and visitors. 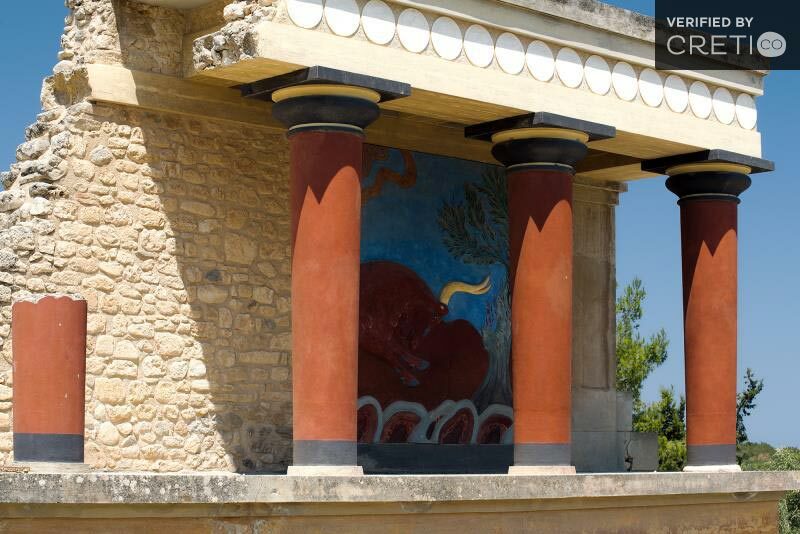 Knossos or Knossos Palace as it is usually called is the most important archaeological finding of the Bronze Age. Probably, Knossos was the cultural center of the Minoan civilization. The palace looks like a maze of rooms in which people were able to work and live. In the center, there is the square. On the walls of the palace, you will have the chance to see detailed images of life in Crete during the Bronze Age. The ruins were discovered in 1878 by a Cretan merchant. Since then many attempts have been made for a comprehensive excavation, but without success. The March of 1900 the noble Englishman Arthur Evans bought the whole area and made a massive excavation bringing the ancient palace in light, after thousands of years. Maybe the most beautiful of the Heraklion Highlights is the Loggia. The Loggia is located in the center of Heraklion, on the street August 25, a few meters from the Basilica of San Marco and the Lions. The Loggia, one of the finest monuments represents the Venetian architecture in Crete. The Loggia was built in 1626-28 by Francesco Morosini, who also built the lions fountain (Morosini Fountain) in the Square of Eleftherios Venizelos. This is the fourth and final Loggia built in the Venetian period. 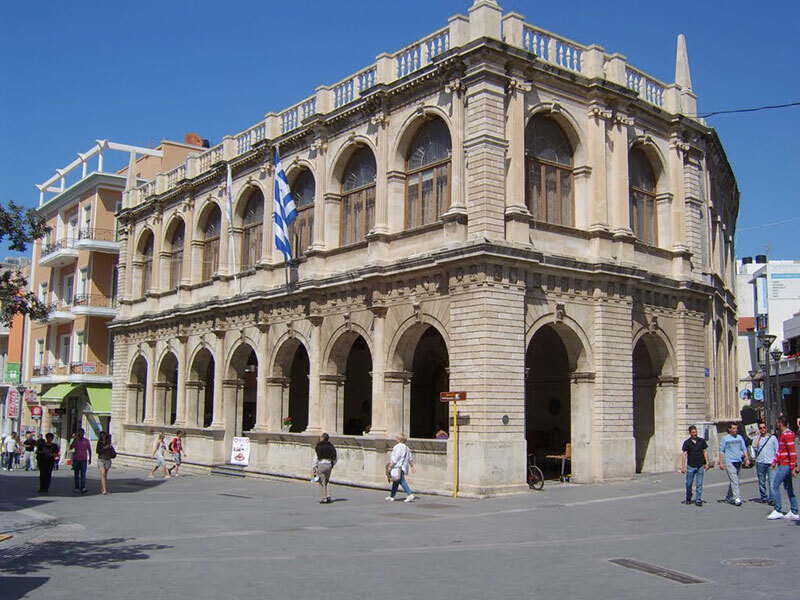 The political and social mores of the Venetians imposed the erection of a public building in Heraklion. It was the meeting point of nobles, princes and lords. There they made decisions on issues related to economic and commercial life of the country. The Loggia is considered the finest Venetian monument in Crete, and in 1987 was awarded first Europa Nostra prize, as the best renovated and preserved European monument of the year. The Archaeological Museum of Heraklion is one of the greatest museums in Greece. It contains the richest and most comprehensive collection of Minoan art in the world. The museum opened in 1883 as a simple collection of antiquities and acquired its own building in 1912. 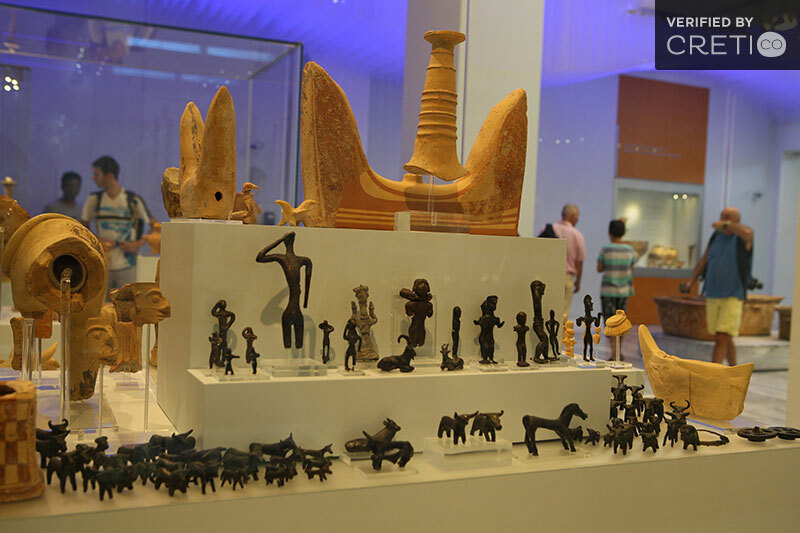 The collections of the museum cover different periods of the Cretan history, from the Neolithic era to the Greco-Roman. Of course, what dominates in the museum is the Minoan art and other artifacts of the era. Some of them are very famous, such as the figure of the ancient goddess with snakes in both hands. “The Lions” is the square with the famous Morozini fountain. Officially, it is called Eleftherios Venizelos square and is the heart of the city. In the surrounding area, there are plenty of shops, cafes and places to eat. The fountain of Morozini with the famous lions is a project of the Venetians and the name comes from its creator, Francesco Morozini. 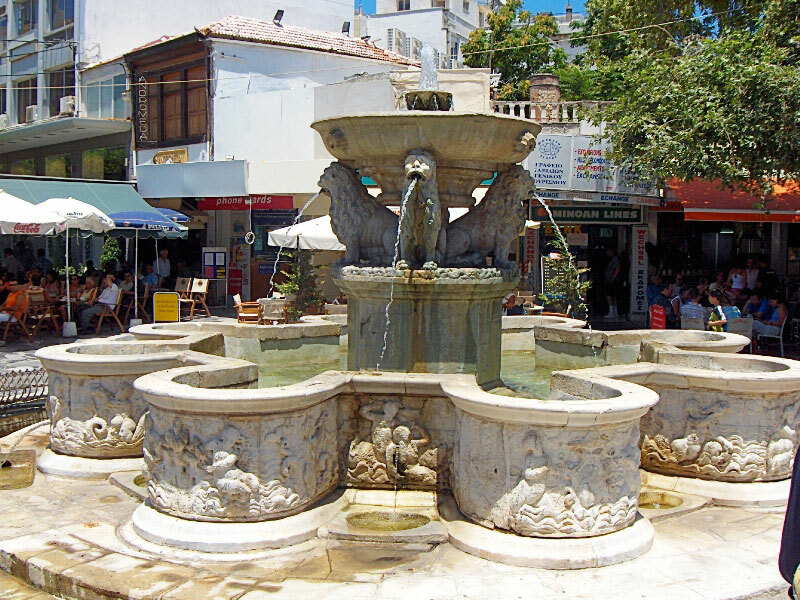 This fountain was very important for the city, as it provided fresh water from the mountain Giouktas, in Archanes. In addition to lions, the fountain is decorated with dolphins, nymphs and other mythical creatures related to water element. The Natural History Museum of Crete operates within the University of Crete and disposes all the futures that a comprehensive, modern museum should have. Its impressive growth over the last decade reflects the society’s great need for proper environmental awareness. 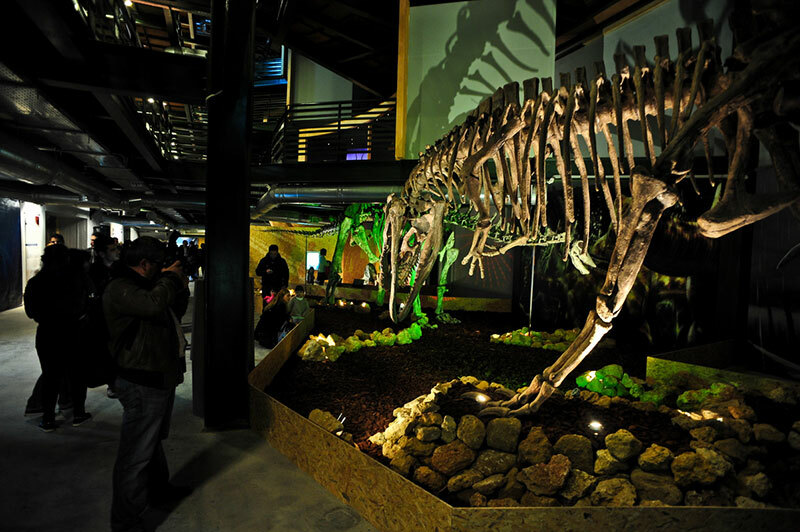 Among the exhibits of the museum, you will find the giant dinosaur, an animal that lived in Crete 9 million years ago. The shaking table enables guests to experience completely safely, the conditions of a real earthquake. The “Researches Place- Stavros Niarchos” is the only in Greece, is an area of 250m2, and is suitable exclusively for children up to 15 years. Undoubtedly, one of the Heraklion Highlights, is the Aquarium. 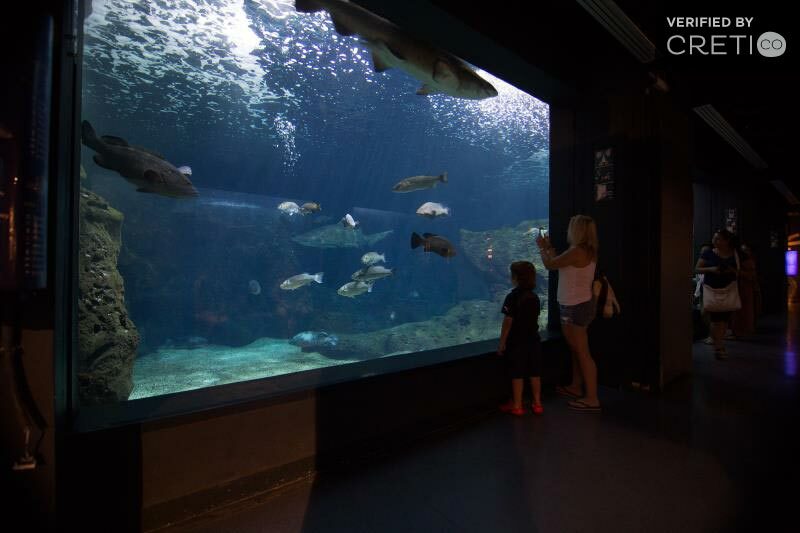 The experience of exploring the Mediterranean Sea world begins here. Hundreds of species come face to face with you to reveal the charm of their behavior, the various shapes and colors of their own world, their habits and needs. It is an ideal place to visit with your children. The “Nikos Kazantzakis” Museum, in the village of Myrtia, pays a tribute to this great man of spirit, writer, thinker, philosopher and traveler, and the main goal is to preserve the memory of the author and to display his work and thought. Among the museum’s exhibits stand the manuscripts of the author, correspondence with great thinkers, politicians and writers of that period, rare first editions of his works, photographs, personal objects (his pipe, his glasses, his watch), models , costumes and staff from his theatrical works and dozens of foreign language versions of his books. 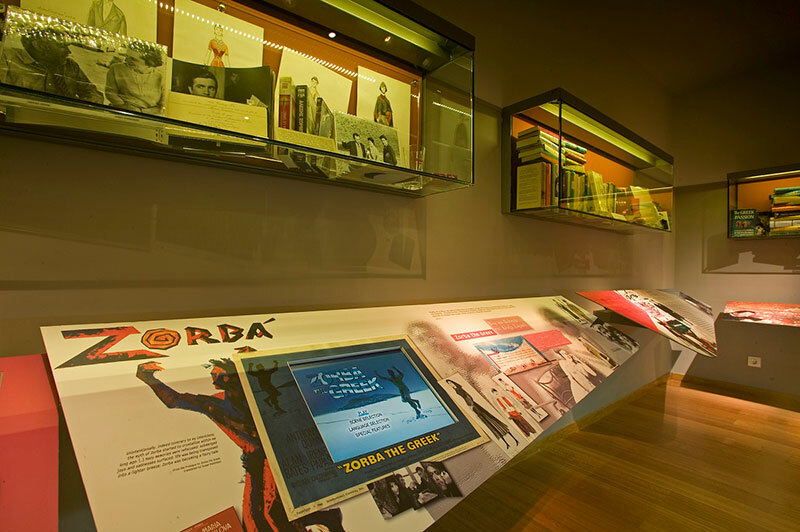 In a specially designed room visitors will have the chance to watch a documentary about the life and work of Nikos Kazantzakis in 6 languages. You will also find available for sale all of his books and books others have written about him. 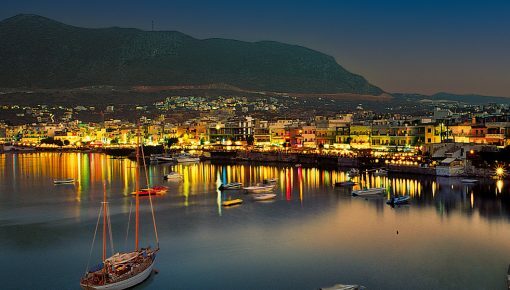 is located in southern Crete in Heraklion, approximately 70 km from the city. It is a small fishing village with the famous, beautiful, sandy beach. The clear, blue waters combined with artificial small caves carved into the rocks are the elements that make the beach of Matala unique! The beach is organized and easy accessible! 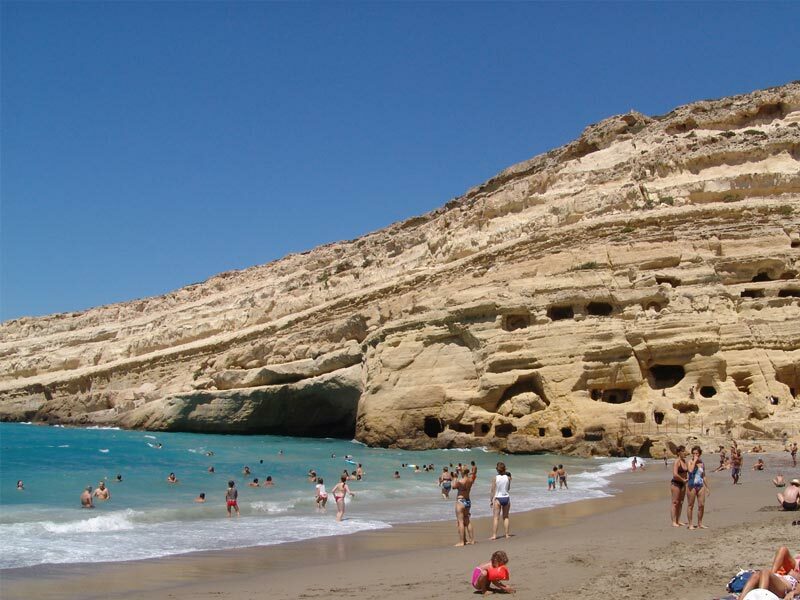 It is really worth a visit at the beach of Matala! The scenery will certainly amaze you! is located 24 km northwest from Heraklion. This is one of the most popular summer resorts of Heraklion. The clean sea, protected from the summer winds, and the benefits that it offers, make it considered as one of the most beautiful and popular beaches. Very close to the main beach of Agia Pelagia there are other beautiful beaches, some of them with pebble. 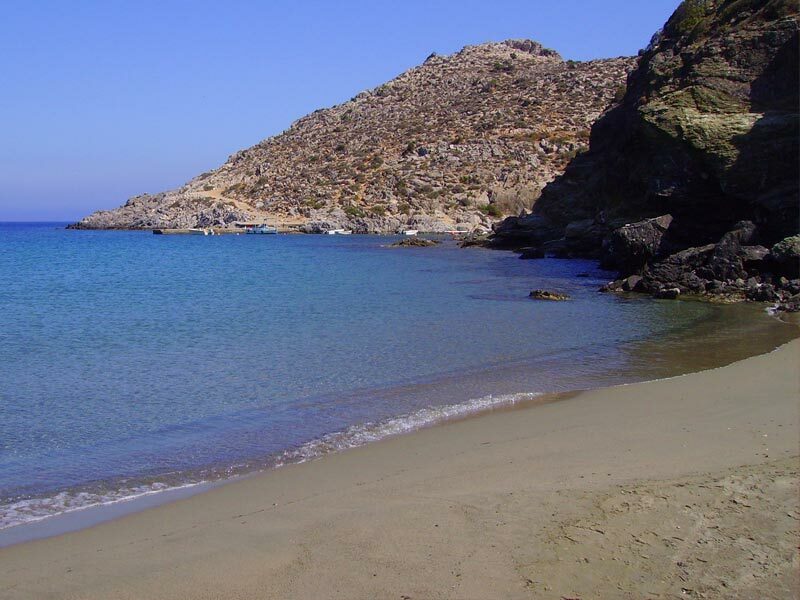 beach is located south of Crete in Heraklion about 80 km from the city, and 25 km from Mires Heraklion. 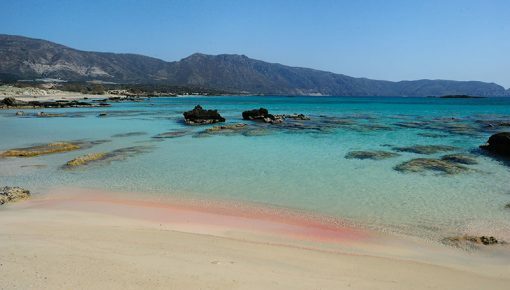 This small, traditional village has one of the most beautiful beaches of Crete! As the wind is blowing often in the area, the beach at Kali Limenes is the only one that gives you the chance to swim calmly, as it is well hidden from the winds. The beach is pebble and the water clear and clean! In Kali Limenes you can find beautiful villas and traditional taverns. 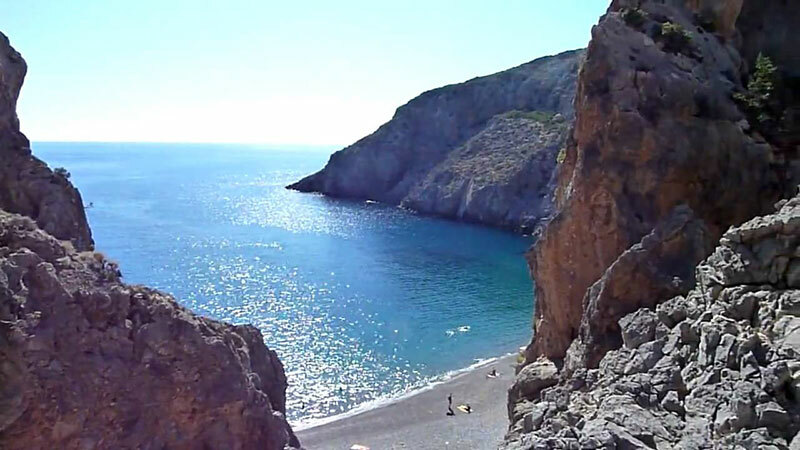 Agiofarago beach is located south of Heraklion near Matala. This is an amazing gorge which ends in a magnificent pebble beach! This beach is only accessible through the gorge or by boat from Kali Limenes, so it has retained its natural beauty. The walk through the gorge takes 15-20 minutes and the scenery is gorgeous! It is worth to have a day trip to Agiofarago, or camp in the beautiful beach and enjoy the tranquility of nature! These are not the only Heraklion Highlights. You can find a long stay accommodation in many traditional and luxury villas in Heraklion, so you will have the chance to taste all the experiences that this city is able to offer! Posted on 20 Mar 2015 in Heraklion and tagged Agia Pelagia, Agiofarago Beach, Beaches In Crete, Beaches In Heraklion, Kali Limenes Beach, Lasithi, Matala Beach.